How do you show one of the most important people in your life how much she means to you? Every mother is a beautiful woman with unique interests, and each deserves to be celebrated in her own unique way. Thankfully, the Outer Banks offers many different adventures, and is sure to have an activity suited for your mother on her special day! Read on for Outer Banks Mother’s Day inspiration. Back to Basics- Take Your Mother to an Outer Banks Brunch! 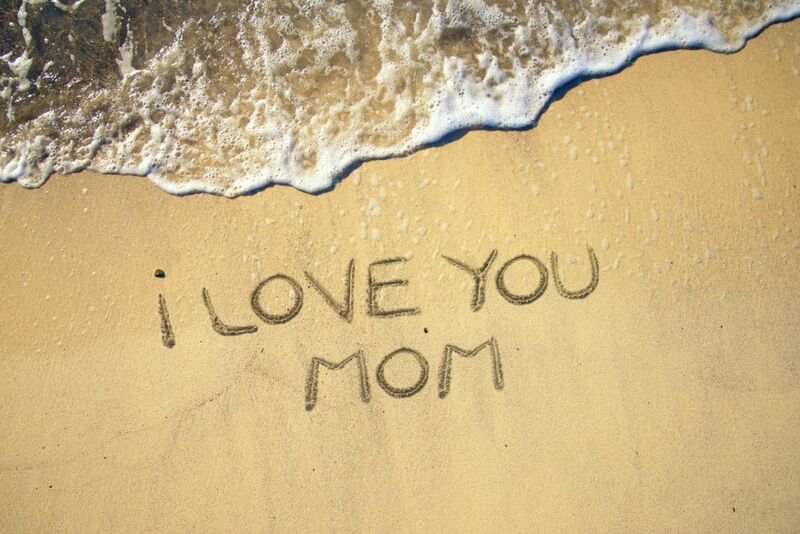 Mom made sure you were well fed everyday, so return the favor with a Mother’s Day brunch at Beachside Bistro! Sunday brunch is served from 10 am – 2 pm. The Beachside Bistro sits on right on the beach, so you can enjoy the warm salt air on our outdoor patio while enjoying Cajun Shrimp & Grits. When your bellies are satisfied, stroll right off the patio onto the beach for a shoreside walk! Does mom have a furry best friend? Be sure to bring her and her pup to Woofstock at the Outer Banks Soundside Event Site in Nags Head. This is a two day event full of dog-friendly activities, competitions (with prizes!) and vendors. Live music will fill the background with melodies and several local Outer Banks food vendors will be on site. We are proud to say that The Sea Ranch Resort offers pet- friendly rooms so she can bring her dog to join the fun! Mothers are superheroes. They raise children, pursue their career, make sure everyone is fed and so, so much more. Honor your mom for her diligence by booking her an appointment with a masseuse! Outer Banks Massage Therapy accommodates home visits and offers a variety of different packages. The Famous Outer Banks Dunes! One of the Outer Banks’ most famous landmarks is Jockey’s Ridge. Out of the entire eastern United States, Jockey’s Ridge is the tallest natural Sand Dune. Take an Outer Banks Mother’s Day stroll up on the dunes for a beautiful view, fly a kite, or take on a hang gliding lesson for the adventurous mothers! Outer Banks soundside sunsets are some of the most beautiful so you will ever see. Maybe we’re biased, but we promise your mom will agree! Head across the street from Jockey’s Ridge to Kitty Hawk Kites and rent a paddle board or kayak. You can go back to Jockey’s Ridge soundside access or visit one of the other numerous accesses all over the beach. 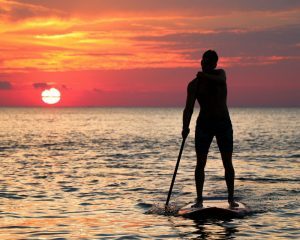 Paddle board sessions are always beautiful on the Outer Banks! The Sea Ranch Resort is a pet-friendly hotel in Kill Devil Hills, NC. Our oceanfront hotel is located in the heart of the Outer Banks near numerous attractions. We provide oceanfront lodging for traveling families, couples, and groups.